This spring I planted my first garden. 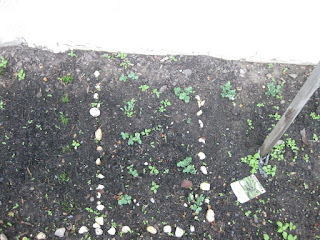 I planted four things - cilantro, cucumbers, green onions, and peas. 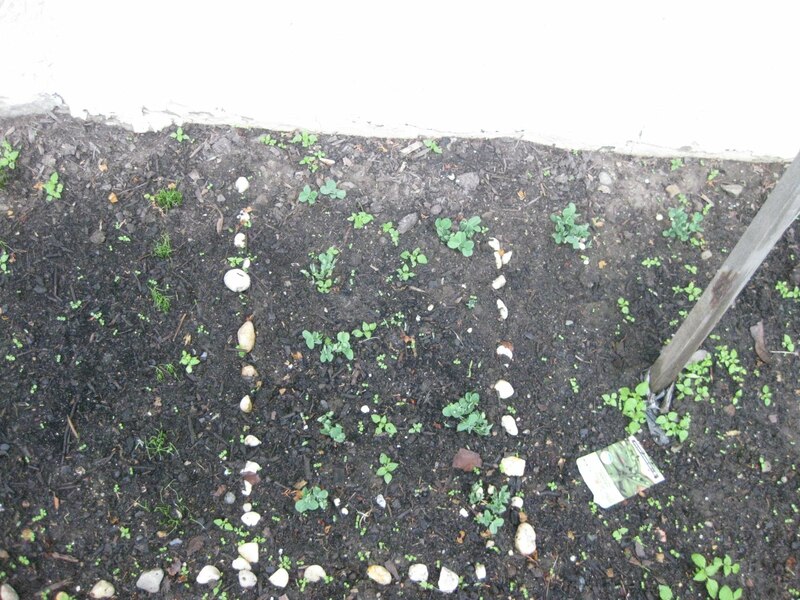 I planted them in alphabetical order so that I would remember which was what. months and my lack of watering skills, I assumed nothing would grow. But lo and behold my cucumbers have survived! 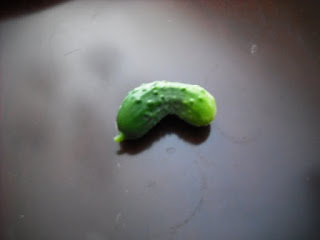 Here are the cucumbers right after pickin'. And here they are after I canned them and placed them in pickling juice. Okay so they really don't look very appetizing. That's dried dill and some black peppercorns floating at the top. 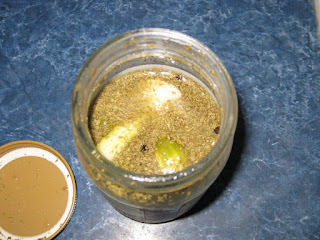 But these are the best pickles I have ever had if I do say so myself. #1 (my hubby) agrees. And I really think he is not just saying that but that he thinks they are fab as well. Not only do they taste extremely fresh, but they are sour and sweet at the same time. I am such a real food foodie now!